You know the joke, “How can you tell if someone’s vegan? Don’t worry, they’ll tell you”? I think you could probably extend that to all manner of moral/eco-behaviour. It’s pretty easy to feel smug and get a bit preachy when you’re doing something you think is good for the planet. But that’s a slippery slope because as soon as you get on your high horse about one thing, you’re ripe for being toppled off for another. I’m vegetarian, but I take a lot of flights and I’ve failed at being vegan three times. No-one is perfect, and graciousness trumps being smug, but that’s not to say we shouldn’t try and do our bit for the planet. Nihilism is not the answer and it’s better to do something than nothing. 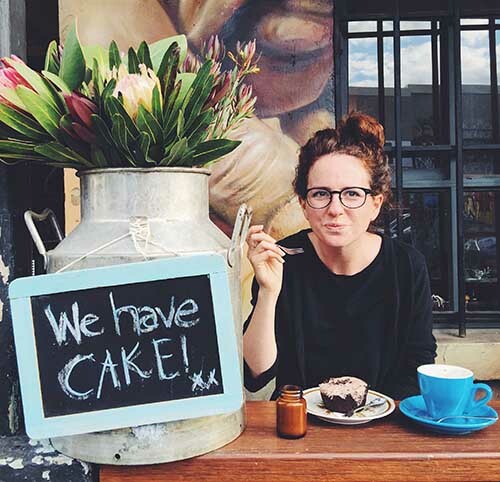 This month I’m going to be taking part in the Plastic-Free Parenting Challenge by Plastic Free Me and Mamalina. Each week, there is a different part of parenting to focus on – meal time, bath time, toilet time and play time. I’m currently in the throes of sleep deprivation and learning to look after Otis, so I’m taking liberties and not following the suggested outline. Instead, I’m taking it as an opportunity to try and make some changes in the amount of plastic I waste because there’s no denying it’s a scourge. I probably won’t manage to nail all these things in June, but I’ll try to get started and keep trying beyond then. 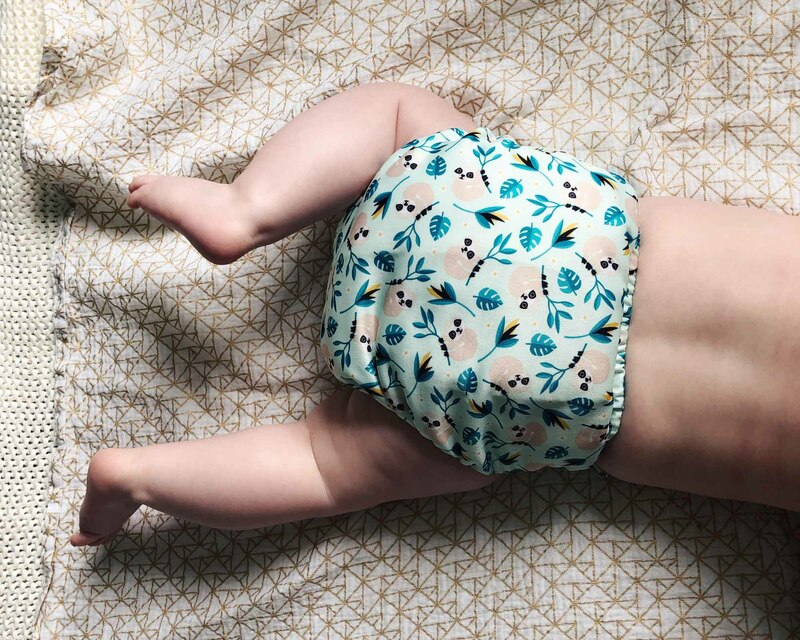 The biggest thing I’ll be doing is trying to make the switch from disposable to reusable nappies. I’ve been feeling an ever-growing sense of unease at the amount we throw every week. So the lovely Bambino Mio have sent me some reusables to get started with. The collector in me already wants to get all the patterns! I’m not sure I’ll be able to go 100% reusable, but I’m going to try them out to see how it goes with the intention of using them at least part of the time. I’m addicted to sparkling water, so we recently bought a Soda Stream, which has saved us buying so many plastic bottles. It’s a revolution in our house! We got the Source machine, which costs about £90. It doesn’t actually save you much money over time because soda water is so cheap, but it will save a hell of a lot of plastic. I’ve had a keep cup for a few years, but I’d like to get to the stage where I remember it every time. Our local cafe has just stopped even offering disposable cups, so that’s a good reminder (well done Boston Tea Party!). As well as using resusable nappies, I’ll also be using resusable wipes. I’ve just ordered some in from Cheeky Wipes. I was recently horrified to learn how much baby wipes clog up river beds, so feel extra motivated to use these. We’ve started getting a vegetable box from Abel and Cole. This avoids all the unnecessary and anger-inducing packaging that supermarkets use. Abel and Cole deliver the food in a cardboard box, which they collect the next week. They still use plastic for some things, such as spinach or salad leaves, but as a company they seem to be doing all they can to reduce waste. For example, the carrots are delivered in a compostable bag made of vegetable starch. I live right next to Gloucester Road, said to be Europe’s longest street of independent shops. I’m trying to take advantage of that by doing the rest of our shopping in the different grocers along the road. We have lot of places where we can buy any extra fruit and veg we need, without excessive plastic. It also had the added bonus of supporting local businesses. That said, I don’t always succeed in this and sometimes all to the convenience of the supermarket. I’m trying to get better at it. 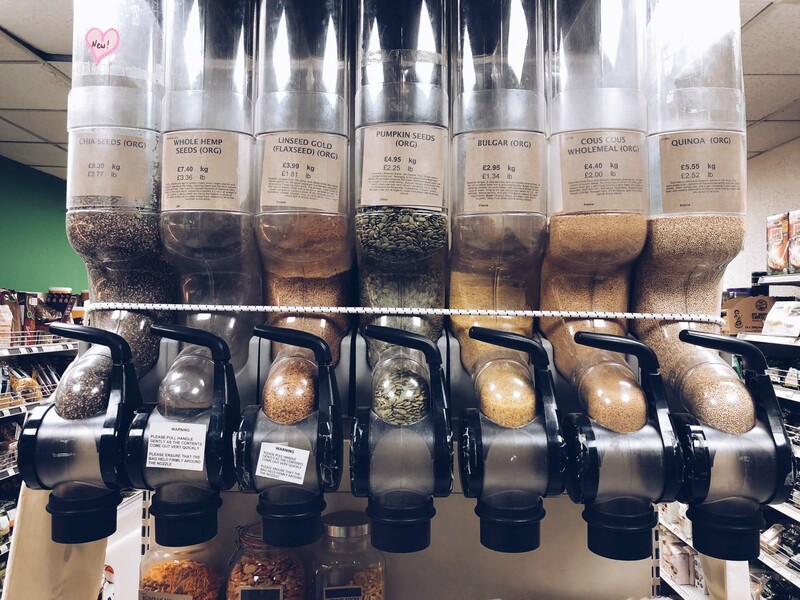 Some of the best shops on Gloucester Road are Scoop Away and Harvest where you can buy lots of products loose and then use your own non-plastic containers to store them. I have lots of kilner jars, so I intend to start shopping here for things like lentils, beans, rice, nuts and seeds. 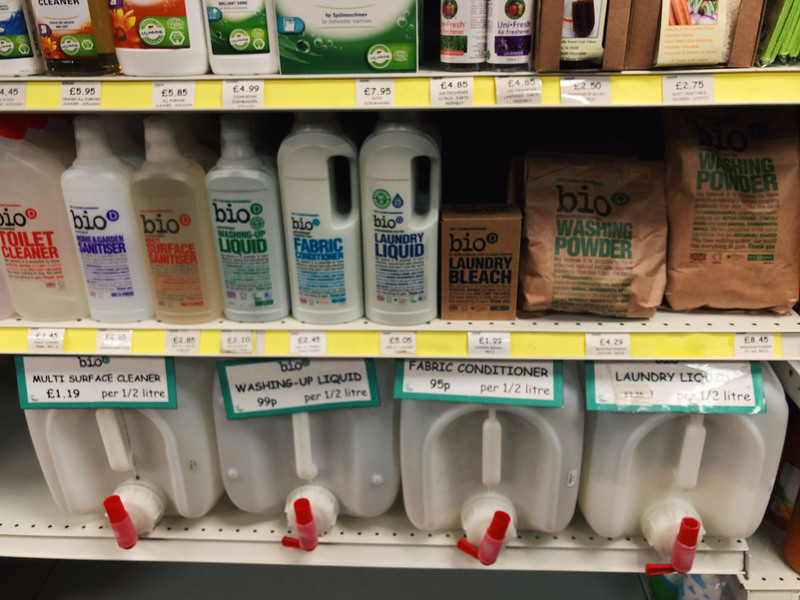 A few places in Bristol, including Scoop Away, Harvest, Better Food and Wild Oats, do refills of cleaning products like washing-up liquid, clothes wash and surface cleaner. I keep saying I’m going to do this, but haven’t yet, so I’m going to make this month the time to start. The Ecover website has a handy search tool where you can find out the nearest place to you that offers this service on Ecover products. So that’s what I’ll be doing. But I’m not going to get preachy and say that you should too because I know it’s not always that simple. I may be trying to do something in these regards, but I fail in many others. As I said before, I’ve tried being vegan three times, for a total of about a year, but the cheese gets me every time! And let’s not even get started on air travel! But I don’t think failing in one regard is a reason to stop trying in another. I’ll say it again: it’s better to do something than nothing. 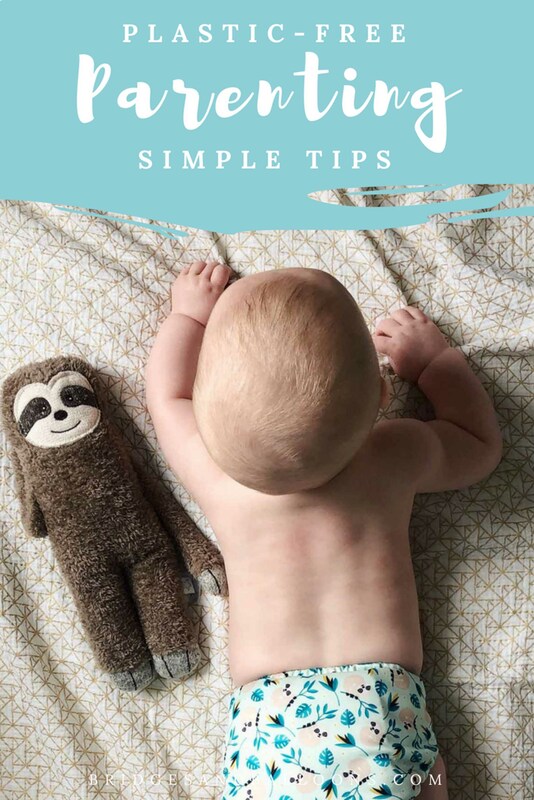 Emma at Mamalina has put together a guide with lots of other ideas for reducing plastic waste as a parent, from switching to bamboo toothbrushes to buying biodegradable glitter. There’s lots of food for thought in there. I’ll be sharing how I get along on Instagram over the month. Let me know if you’re taking part too, or if there are specific things you do to reduce your plastic waste or impact on the planet. I’d love to hear from you! Great ideas! Thanks for bringing some awareness to this issue and doing your part. It’s very difficult not to create an enormous amount of waste in the US thanks to the ridiculous amount of packaging. I do take my own shopping bags to the grocery store, reuse the plastic produce bags, bought metal straws, refuse plastic water bottles, and use real utensils for lunch at work rather than plastic ones. We still have a long way to go but every bit helps! I think what you are doing is really commendable. If there is one lesson that I have learned from my parents is that, if you want your kid to something, never force him/her to do it, just make sure to be the right example. This involved my father making sure to brush his teeth in front of me, or near me every night, without ever forcing me to follow this nighttime ritual. And, it worked! Our environment really needs our help, and it is of the utmost importance to raise children that are aware of this fact. Best of luck! Hey Vicotria, very informative post! I am six months pregnant! I hope your post will help me a lot when I first become a mother! I don’t have kids, but you’ve made me research some plastic diminishing options where I live! Washing nappies turns into a full time job. I vouched not to use disposables but i was working full time and could not keep up! This is a very well researched blog post. Victoria, you are doing people aware regarding plastic that’s kind of social work. this is the way we can change the world.